Frankie & Myrrh Study Buddy spray – This is my fav for sure. Loving this brand and their wide assortment of aromatherapy sprays. This one is the Study Buddy which helps you focus while calming to get you thru your work or studies. These can be used as a mist, a perfume, a room spray, so many options! I’m a big fan of this company and want to try more, they have so many different kinds depending on what you are looking to get, stress relief, mood relief or booster, etc. They even have rollies for on the go and fancy diffusers! Love it! The Tulle Box thumbtacks – Super cute! Just found out about this company in another box and like their products, cute tacks! Kawaii metal diamond crystal pen – Love this fancy pet, brought it to work but might have to keep it at home, don’t want anyone to steal it, too cute! SultySmooth Essentials pumpkin spice body lotion – smells so good! Micro-dermabrasion paste by R+F – nice little sample to test out. 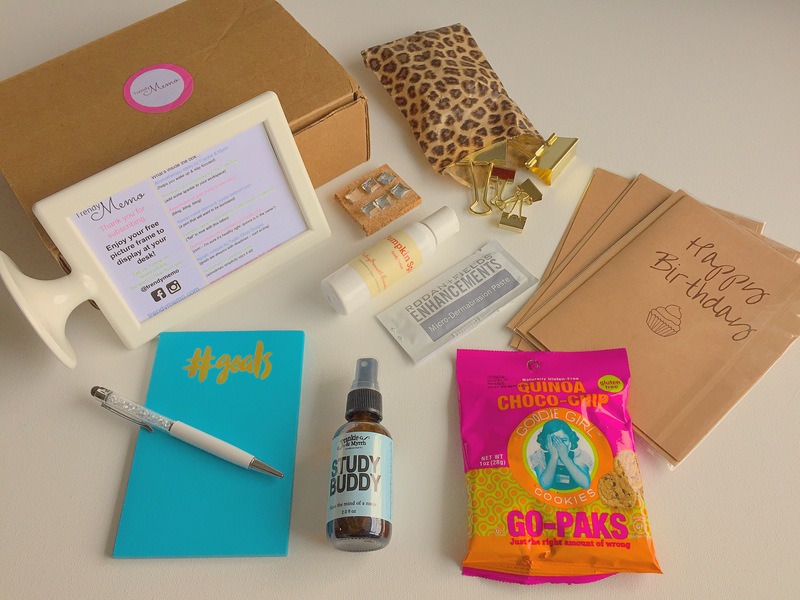 Starting at only $36 a month for a year or $39.99 monthly and this is a quarterly subscription box. Sign up today and get a FREE picture frame for your desk while supplies last!